Roman Malinovsky, the son of Roman Catholic peasants, was born in the Plotsk Province of Russian Poland, on 18th March, 1876. He was orphaned at an early age and was in trouble with the local police for getting involved in criminal activities. His third offense being that of robbery with breaking and entry, for which he had served a prison term from 1899 to 1902. A man who once shared a cell with Malinovsky, later remarked: "Malinovsky's life was a series of crimes, his talents, his mind, and his will being used for one purpose: to sell himself at the highest possible price". On his release from prison in 1902 Malinovsky joined the Izmailovsky Guards Regiment. After four years service he left the army and found employment as a lathe operator in a factory in St. Petersburg. He became involved in trade union activities and eventually became the full-time secretary of the Metalworkers Union. 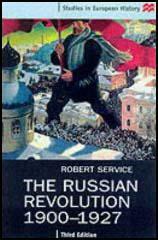 He joined the Bolsheviks and took a prominent role in organizing workers during the 1905 Revolution. However, he was now well-known to the police and in November, 1909, he was arrested and expelled from the city. Malinovsky went to Moscow with his wife and two children but in May, 1910, he was arrested once again. It was while he was in prison he agreed to become an undercover agent for the Russian secret police. For 100 roubles a month Malinovsky supplied reports on Bolshevik members, locations of party meetings and storage places for illegal literature. In 1911 Malinovsky began working for S. P. Beletsky the director of Okhrana. Beletsky later admitted that: "Malinovsky was given the order to do as much as possible to deepen the split in the Party. I admit that the whole purpose of my direction is summed up in this: to give no possibility of the Party's uniting. I worked on the principle of divide et impera." Beletsky ordered Malinovsky to "attach himself as closely as possible to the Bolshevik leader (Lenin)". Beletsky later testified that, in view of this important mission, he freed his agent at this time "from the further necessity of betraying individuals or meetings (though not from reporting on them), as arrests traceable to Malinovsky might endanger his position for the more highly political task." Malinovsky met Lenin in 1912. According to Bertram D. Wolfe: "When he met Lenin at the Prague Conference of 1912, he was thirty-four, robust, ruddy complexioned, vigorous, excitable, a heavy drinker, a rude and eloquent orator, a gifted leader of men." Lenin was impressed with Malinovsky and suggested that he should join the Bolshevik Central Committee. Lenin also advocated that Malinovsky should be a Bolshevik candidate for the Duma. Malinovsky became known as an eloquent and forceful orator. Before making his speeches he sent copies to Lenin and S. P. Beletsky. After being elected in October, 1912, Malinovsky became the leader of the group of six Bolshevik deputies. Lenin argued: "For the first time among ours in the Duma there is an outstanding worker-leader. He will read the Declaration (the political declaration of the Social Democratic fraction on the address of the Prime Minister). This time it's not another Alexinsky. And the results - perhaps not immediately - will be great." Malinovsky was now in a position to spy on Lenin. This included supplying Okhrana with copies of his letters. In a letter dated 18th December, 1912, S.E. Vissarionov, the Assistant Director of Okhrana, wrote to the Minister of the Interior: "The situation of the Fraction is now such that it may be possible for the six Bolsheviks to be induced to act in such a way as to split the Fraction into Bolsheviks and Mensheviks. Lenin supports this. See his letter (supplied by Malinovsky)". Rumours began to circulate that Malinovsky was a spy working for Okhrana. This included an anonymous letter sent to Fedor Dan about Malinovsky's activities. Another Bolshevik leader, Nikolai Bukharin, became convinced that Malinovsky was a spy. 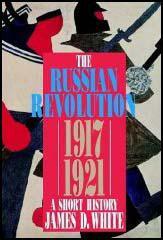 David Shub, a member of the Mensheviks, has argued: "There was a wave of arrests among the Bolsheviks in Moscow. Among those rounded up was Nikolai Bukharin... Bukharin, then a member of the Moscow Committee of the Bolshevik Party, had distrusted Malinovsky from the start, despite the latter's assiduous attempts to win his confidence. For Bukharin had noticed several times that when he arranged a secret rendezvous with a party comrade, Okhrana agents would be waiting to pounce on him. In each case Malinovsky had known of the appointments and the men whom Bukharin was to meet had been arrested." Bukharin wrote to Lenin claiming that when he was hiding in Moscow he was arrested by the police just after a meeting with Malinovsky. He was convinced that Malinovsky was a spy. Lenin wrote back that if Bukharin joined in the campaign of slander against Malinovsky he would brand him publicly as a traitor. Understandably, Bukharin dropped the matter. Nadezhda Krupskaya later explained: "Vladimir Ilyich thought it utterly impossible for Malinovsky to have been an agent provocateur. These rumors came from Menshevik circles... The commission investigated all the rumors but could not obtain any definite proof of the charge." Instead of carrying out an investigation into Malinovsky, Lenin made him his deputy inside Russia. In 1912, the wife of Alexander Troyanovsky, was arrested. As David Shub, the author of Lenin (1948) has pointed out: "In February 1913 Troyanovsky's wife, who had just returned from Austria with instructions from Lenin, was arrested in Kiev. She had been asked to become secretary to the Bolshevik group in the Duma. Important secret documents were found in her possession. Very few people had known of her arrival. Both Bukharin and Troyanovsky suspected Malinovsky's hand in her arrest. To confirm their suspicions, Troyanovsky sent a registered letter to his wife's father, telling him he knew who had betrayed his wife to the police and that he was determined to square accounts with the informer. The letter brought the results Troyanovsky expected. His wife was immediately released." S. P. Beletsky later testified that when he showed this letter to Malinovsky he "became hysterical" and demanded that she was released. In order that he remained as a spy Beletsky agreed to do this. Shub argues: "Convinced now that his wife's arrest was the work of an agent provocateur, Troyanovsky investigated the details of her trip to Russia, whom she met there - as well as the circumstances of her arrest and release. All the evidence pointed strongly to Malinovsky." After discussing the matter with Nikolai Bukharin, both men wrote to the Central Committee demanding that Malinovsky appear before a Party court. Lenin, speaking for the Central Committee, forbade them to spread these rumours about Malinovsky. Lenin called their action worse than treason, and threatened to have them expelled from the Bolsheviks if they persisted. Bukharin obeyed, but Troyanovsky decided to resign from the party. According to Bertram D. Wolfe in 1913: "He (Malinovsky) was entrusted with setting up a secret printing plant inside Russia, which naturally did not remain secret for long. Together with Yakovlev he helped start a Bolshevik paper in Moscow. It, too, ended promptly with the arrest of the editor. Inside Russia, the popular Duma Deputy traveled to all centers. Arrests took place sufficiently later to avert suspicion from him... The police raised his wage from five hundred to six hundred, and then to seven hundred rubles a month." In June 1914 Lenin published an article in Prosveshchenie, where he continued to attack people like Jules Martov and Fedor Dan who continued to denounce Malinovsky as a spy: "We do not believe one single word of Dan and Martov.... We don't trust Martov and Dan. We do not regard them as honest citizens. We will deal with them only as common criminals - only so, and not otherwise... If a man says, make political concessions to me, recognize me as an equal comrade of the Marxist community or I will set up a howl about rumors of the provocateur activity of Malinovsky, that is political blackmail. Against blackmail we are always and unconditionally for the bourgeois legality of the bourgeois court... Either you make a public accusation signed with your signature so that the bourgeois court can expose and punish you (there are no other means of fighting blackmail), or you remain as people branded... as slanderers by the workers." On the outbreak of the First World War Malinovsky resigned from the Duma and against the orders of the Bolsheviks he joined the Russian Army. He was wounded and captured by the German Army in 1915 and spent the rest of the conflict in a prisoner of war camp. Surprisingly, in December 1916, the Bolshevik newspaper, Sotsial Demokrat, reported that Malinovsky had been "fully rehabilitated" for his past crime of "desertion of his post". On 2nd November, Malinovsky crossed the Russian border and turned up in Petrograd. He visited the Smolny Institute, the Bolshevik headquarters, on three days running, demanding to be taken to see Lenin. On the third day, Gregory Zinoviev saw him and ordered his arrest. He was taken to Moscow for trial and Nikolai Krylenko was appointed as prosecutor. Malinovsky told Vladimir Burtsev: "When the Revolution triumphed in Germany and Russia and the possibility of participating prominently in political activities was lost to him forever, he decided to go back and die, rather than to flee into the obscurity of an Argentina or a similar place of refuge. Of course, he could have committed suicide, but he preferred to die in the view of everybody, and had no fear of death." At his trial that took place in secret Malinovsky admitted he had been a spy being paid 6,600 rubles by the Okhrana. He argued: "If I refused to accept the money the Okhrana would have suspected me of playing a double game. I had to show that I was faithful." The judge replied: "But you had already proved that by delivering our best comrades to the police." Malinovsky also told the court he had made a full confession to Lenin in 1914. Malinovsky used his full oratorical talents in a six-hour defence speech. It ended with the words: "I am not asking for mercy! I know what is in store for me. I deserve it." David Shub, the author of Lenin (1948) has pointed out: "Lenin sat facing Malinovsky, his head bent over a desk while he wrote on a pad. It was obvious, according to Olga Anikst, a Bolshevik witness; that Lenin was undergoing an emotional conflict. He remained in the same position for hours. When the defence counsel said that if Malinovsky had had friends to guide him he would never have become a spy, Lenin stirred, looked up at Malinovsky, and nodded his head many times. When the verdict of death by shooting was read, Malinovsky began to tremble and his face was distorted by fear. He had obviously expected Lenin's intercession. It is possible that before appearing he had been promised clemency. Lenin himself was undecided. A delegation of Petrograd Bolshevik workers attending the trial demanded to be allowed to witness the execution, apparently fearing that Lenin might commute the sentence of the agent provocateur who once enjoyed his full confidence." Roman Malinovsky was executed that night. The historian, Bertram D. Wolfe, has asked the following questions: "How much did Lenin know of Malinovsky's past? Why did Lenin exonerate Malinovsky in 1914, against the evidence and against the world? Why did he rehabilitate him in 1916? Why did Malinovsky return to Russia when Lenin was in power? Did he count on Lenin? Why did Lenin then not lift a finger to save him?" Si Liberman has argued: "Malinovsky's life was a series of crimes, his talents, his mind, and his will being used for one purpose: to sell himselfatthe highest possible price where he could do the most possible harm to the liberation of the working class. He will go down in history as one of its greatest traitors." Alexander Troyanovsky, later became Soviet Ambassador to the United States. In February 1913 Troyanovsky's wife, who had just returned from Austria with instructions from Lenin, was arrested in Kiev. She had been asked to become secretary to the Bolshevik group in the Duma. Important secret documents were found in her possession. Very few people had known of her arrival. Both Bukharin and Troyanovsky suspected Malinovsky's hand in her arrest. To confirm their suspicions, Troyanovsky sent a registered letter to his wife's father, telling him he knew who had betrayed his wife to the police and that he was determined to square accounts with the informer. The letter brought the results Troyanovsky expected. His wife was immediately released. Convinced now that his wife's arrest was the work of an agent provocateur, Troyanovsky investigated the details of her trip to Russia, whom she met there - as well as the circumstances of her arrest and release. All the evidence pointed strongly to Malinovsky. After discussing the matter with Bukharin, both wrote to the Central Committee demanding that Malinovsky appear before a Party court. In reply, they received a severe rebuke from Lenin, who, speaking for the Central Committee, forbade them to spread these rumours about Malinovsky. Lenin called their action worse than treason, and threatened to have them expelled from the Party if they persisted. Bukharin obeyed, but Troyanovsky soon parted company with Lenin and did not rejoin the Bolsheviks until 1921. But fresh evidence against Malinovsky continued to accumulate. Late in the summer of 1913 Sverdlov, an active Bolshevik Party worker, fled from Siberia to St Petersburg, and hid in the apartment of Badayev, a Bolshevik deputy to the Duma. A few days later the janitor asked Badayev whether he was harbouring a man answering to Sverdlov's description. Badayev denied having any stranger in his apartment, but he realized that Sverdlov was no longer safe with him. After consulting Malinovsky, he decided to move Sverdlov elsewhere. Sverdlov was to stand at the window while Badayev and Malinovsky kept a look-out for spies. If the road was clear, they were both to light cigarettes as a signal for Sverdlov to come out. When Sverdlov saw the signal, he went into the street. The two men helped him over a fence, where a cab was waiting to take him to Malinovsky's flat. From there he was taken to the home of Petrovsky, another Bolshevik member of the Duma. That very night he was arrested and sent back to Siberia. And still no action was taken to investigate Malinovsky. In 1917, when the Tsar fell and the Provisional Government opened up the police archives, they found proof that Zhitomirsky had been a spy during all the years he enjoyed Lenin's confidence. This, of course, was no surprise to Burtsev. But what did startle him was the realization that Malinovsky (whom he did not even begin to suspect until the end of 1916) had come to him that day on a double mission, charged simultaneously by Vladimir Ilyich and by the director of the Russian Police, S. P. Beletsky, with the task of finding out which spies Burtsev knew of in the Bolshevik faction, and from what government personages he derived his tips concerning these most jealously guarded secrets of the police. How deep must Malinovsky's personal interest have been in learning Burtsev's secret, and knowing what revelations or whose turn was coming next! Before we go on with our story, we must note a version, less flattering to Burtsev, of his interview with Malinovsky. The account we have just given is Burtsev's own, but from the well-informed Boris Nikolaevsky, biographer of Azev, who had many interviews with Burtsev, I got an account less favorable to the famous counter-espionage specialist. According to Nikolaevsky, Burtsev did not come to suspect Zhitomirsky as a result of his own investigations, but merely received a tip, couched in general terms, that someone very close to Lenin was a police agent. The tip came from Syrkin, a liberal official high in the Tsar's secret police, who offered to give details to someone whom he could trust. Thereupon, Burtsev wrote to Lenin asking him to come himself or send a man of absolute confidence, to whom he would divulge an important secret. When Lenin sent Roman Malinovsky, Burtsev confided to him that Syrkin of the Moscow Okhrana would give him the name of a police spy close to Lenin. Malinovsky took no chances. Instead of going to Syrkin, he reported the latter's offer to the chief of the Moscow Okhrana. Syrkin was dismissed from his post and exiled to Siberia. Malinovsky was given the order to do as much as possible to deepen the split in the Party. I admit that the whole purpose of my direction is summed up in this: to give no possibility of the Party's uniting. I worked on the principle of divide et impera. Vladimir Ilyich thought it utterly impossible for Malinovsky to have been an agent provocateur. These rumors came from Menshevik circles... The commission investigated all the rumors but could not obtain any definite proof of the charge... Only once did a doubt flash across his mind. I remember one day in Poronino, we were returning from the Zinovievs and talking about these rumors. All of a sudden Ilyich stopped on the little bridge we were crossing and said: "It may be true!" and his face expressed anxiety. "What are you talking about, it's nonsense," I answered deprecatingly. Ilyich calmed down and began to abuse the Mensheviks, saying that they were unscrupulous as to the means they employed in the struggle against the Bolsheviks. He had no further doubts on the question. We do not believe one single word of Dan and Martov. We will never enter into any "investigation" of dark rumors in which the Liquidators and the grouplets which support them may take part ... If Martov and Dan, plus their concealers, the Bundists, Chkheidze and Co., the "August Bloc People," etc., directly or indirectly invite us to a common "investigation," we answer them: we don't trust Martov and Dan. We do not regard them as honest citizens. We will deal with them only as common criminals - only so, and not otherwise... If a man says, make political concessions to me, recognize me as an equal comrade of the Marxist community or I will set up a howl about rumors of the provocateur activity of Malinovsky, that is political blackmail. Against blackmail we are always and unconditionally for the bourgeois legality of the bourgeois court... Either you make a public accusation signed with your signature so that the bourgeois court can expose and punish you (there are no other means of fighting blackmail), or you remain as people branded... as slanderers by the workers. Malinovsky was now instructed to take the earliest possible opportunity to come out as a Bolshevik and to attach himself as closely as possible to the Bolshevik leader. Police Director Beletsky testified that, in view of this important mission, he freed his agent at this time from the further necessity of betraying individuals or meetings (though not from reporting on them), as arrests traceable to Malinovsky might endanger his position for the more highly political task. It was the easier for the police to make this exemption since they had by now advanced their men to a number of key posts in the Bolshevik underground, including the headship of the Moscow organization itself, which had just been taken over by agent Kukushkin, aided by the spies Romanov, Poskrebuchin and Marakushev. The agents ascended quickly in the Party hierarchy by the simple expedient of arranging the arrest of incumbents, persons who suspected them, and others who stood in their way. Malinovsky's life was a series of crimes, his talents, his mind, and his will being used for one purpose: to sell himself at the highest possible price where he could do the most possible harm to the liberation of the working class. He will go down in history as one of its greatest traitors. I did not believe in provocateurship here, and for the following reason: If Malinovsky were a provocateur, the Okhrana would not gain from that as much as our Party did from Pravda and the whole legal apparatus. It is clear that by bringing a provocateur into the Duma and eliminating for that purpose all the competitors of bolshevism, etc., the Okhrana was guided by a gross conception of bolshevism, I should say rather a crude, homemade caricature. They imagined that the Bolsheviks would arrange an armed insurrection. In order to keep all the threads of this coming insurrection in their hands, they thought it worth while to have recourse to all sorts of things to bring Malinovsky into the Duma and the Central Committee. But when the Okhrana succeeded in both these matters, what happened? It happened that Malinovsky was transformed into one of the links of the long and solid chain connecting our illegal base with the two chief legal organs by which our Party influenced the masses: Pravada and the Duma Fraction. The agent provocateur had to serve both these organs in order to justify his vocation. Both these organs were under our immediate guidance. Zinoviev and I wrote daily to Pravda and its policy was entirely determined by the resolution of the Party. Our influence over forty to sixty thousand workers was thus secured. (9) During his trial Roman Malinovsky attempted to explain why he spied on the Bolsheviks. Judge: Why did you accept the 6,000 rubles compensation? You were evidently more interested in the money than in your so-called tragedy. Malinovsky: If I refused to accept the money the Okhrana would have suspected me of playing a double game. I had to show that I was faithful. Judge: But you had already proved that by delivering our best comrades to the police. Malinovsky's life was a series of crimes, his talents, his mind, and his will being used for one purpose: to sell himselfatthe highest possible price where he could do the most possible harm to the liberation of the working class. He will go down in history as one of its greatest traitors. Lenin sat facing Malinovsky, his head bent over a desk while he wrote on a pad. It was obvious, according to Olga Anikst, a Bolshevik witness; that Lenin was undergoing an emotional conflict. He remained in the same position for hours. When the defence counsel said that if Malinovsky had had friends to guide him he would never have become a spy, Lenin stirred, looked up at Malinovsky, and nodded his head many times. When the verdict of death by shooting was read, Malinovsky began to tremble and his face was distorted by fear. He had obviously expected Lenin's intercession. It is possible that before appearing he had been promised clemency. Lenin himself was undecided. A delegation of Petrograd Bolshevik workers attending the trial demanded to be allowed to witness the execution, apparently fearing that Lenin might commute the sentence of the agent provocateur who once enjoyed his full confidence. The next day Izvestia reported that Malinovsky had been shot. The minutes of the trial were never published. The last act in this strange drama of Roman Malinovsky occurred in November, 1918, when Lenin had been in power for a full year. On November 2, reckless adventurer to the end, Malinovsky crossed the Russian border and turned up in Petrograd. For three successive days he visited the Smolny Institute (Bolshevik headquarters), demanding either to be arrested or taken to see Lenin. On the third day, Zinoviev saw him and ordered his arrest. He was taken to Moscow for trial. The Bolshevik Krylenko, who was later to conduct many prosecutions until he himself disappeared in a purge, was appointed as prosecutor. He knew the defendant well since he too had reason to believe that one of his arrests by the tsarist police was Malinovsky's work. The trial was swift and secret. But the workers' organizations of Moscow sent deputations to attend, for they feared that Lenin might exonerate their ex-Deputy once more. Accounts of the trial are confused and sometimes deliberately confusing. But from Bolshevik memoirs, and the writings of Burtsev, we are able to reconstruct some scenes of this last act. A trick of fate put Burtsev in jail in the same cell as ex-Police Chief Beletsky, when the latter was testifying at Malinovsky's trial. Another important source was Malinovsky's old colleague, the Bolshevik Duma Deputy, Badaev. Where Badaev and Burtsev agree, we are likely to be on firm ground. Malinovsky's bearing at the trial was proud and challenging. He demanded that Lenin be summoned as a witness. According to some accounts, this was refused. But the Bolshevik Olga Anikst, in a memoir in Vol. IV of the series "About Lenin" published by the official Gosizdat (Moscow, 1925, page 93), tells how she watched Lenin closely during the trial. All through it his head remained bowed, and he took notes. But when the defense counsel in his summary said that if Malinovsky had had friends to guide him properly, he would never have become a spy, Lenin looked up at Malinovsky and emphatically nodded his head. If so, it was his only testimony. Malinovsky asserted that Lenin must have known of his role after his resignation from the Duma. He had further tried to tell Lenin that his past was "filled with abominations," but Lenin had refused to listen, saying that for Bolsheviks these personal misdeeds of his youth had no meaning. Did not Lenin know that the police had a hold on him? Still Lenin had permitted him to rehabilitate himself in a German prison camp, and the Bolshevik organ, Sotsial Demokrat, in December, 1916, declared that he had been "fully rehabilitated." "The best period of my life was the two and one-half years which I devoted to propaganda among the Russian prisoners in Germany. I did a great deal during that time for the spread of the ideas of Bolshevism." And Badaev writes: "He alleged that he was forced to become an agent provocateur because he was already completely in the hands of the police. He represented his career as a long martyrdom, accompanied by suffering and remorse from which he could not escape... He tried to prove that he left the Duma of his own free will because of personal unhappiness, and that he obtained permission from the police to quit politics... He adopted a pose of sincere repentance while admitting the gravity of his crimes." How much did Lenin know of Malinovsky's past? How well did he understand what manner of man he was using in the German prison camps, in disregard of the accusations of the Mensheviks, of Bukharin and Rozmirovich, and the scandal of his resignation from the Duma? Why did Lenin exonerate Malinovsky in 1914, against the evidence and against the world? Why did he rehabilitate him in 1916? Why did Malinovsky return to Russia when Lenin was in power? Did he count on Lenin? Why did Lenin then not lift a finger to save him? The verdict was "death." Malinovsky was shot that same night, shortly after the trial ended, at 2 o'clock in the morning. Was there a special reason for the speed?